You will gain valuable experience by being hands on in a variety of tasks. Volunteering is a resume builder. It can look favorable on undergraduate and graduate college applications. Volunteering gives you something to put on your resume, which is great if you’re don’t have a lot of work experience. Volunteering will help to build character. 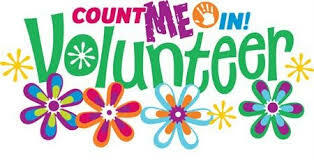 Being a volunteer you will meet a variety of people and learn how to interact with others who are different from you. Being a volunteer you will make a difference, whether it’s in your community, someone’s life, or a different country.